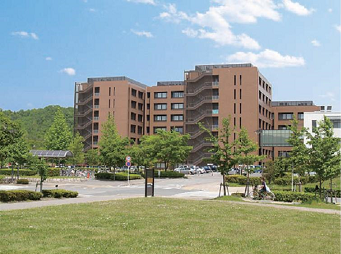 The Graduate School of Advanced Sciences of Matter (AdSM), Hiroshima University, was established in 1998 in collaboration with Research Center for Nanodevices and Systems and other relative institutes and faculties of the University as an independent graduate school with two-year Master's and three-year Doctoral programs. Currently AdSM offers six sub-majors under three departments, "Quantum Matter", "Molecular Biotechnology" and "Semiconductor Electronics & Integration Science". Research under each department is mainly focused on basic science and applied science. While the former pursues the fundamental principles of matter and life, the latter integrates those principles with the advanced technology development, thus utilizing them for human beings. AdSM offers a variety of interdisciplinary research and education curriculums that are given by our competent researchers and educators, fully utilizing the most advanced research facilities and equipments. These curriculums, not limited to specialized subjects, include basic studies on fields other than advanced sciences of matter, international communication capability trainings and internship. We aim to nurture creative and highly educated professional engineers, researchers and entrepreneurs with wide and deep academic- knowledge and sufficient performance capability who can take initiatives in solving many types of different problems or achieve technological breakthroughs from the new and innovative point of view in this global society.